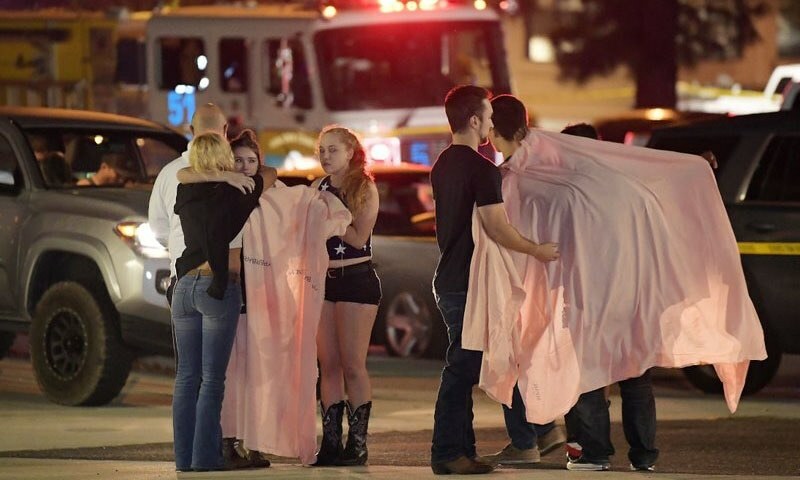 A gunman shot 11 people inside a crowded Southern California country dance bar on Wednesday, and witnesses described a chaotic scene as panicked patrons smashed windows to get out. The gunman died inside the bar, police said. Ventura County Sargent Eric Buschow did not say how the gunman died. Authorities have not confirmed whether any of the wounded had died. Ventura County Captain Garo Kuredjian said hundreds of people were inside the Borderline Bar & Grill in Thousand Oaks at 11:20 pm, and shots were still being fired when deputies arrived. Kuredjian said it has been “quite some time” since there was a shooting of any kind in Thousand Oaks, a city of about 130,000 people about 40 miles (64 kilometres) west of Los Angeles, just across the county line.